This hidden gem is located outside Knysna, on the edge of the indigenous forest and the foothills of the Outeniqua Mountains. 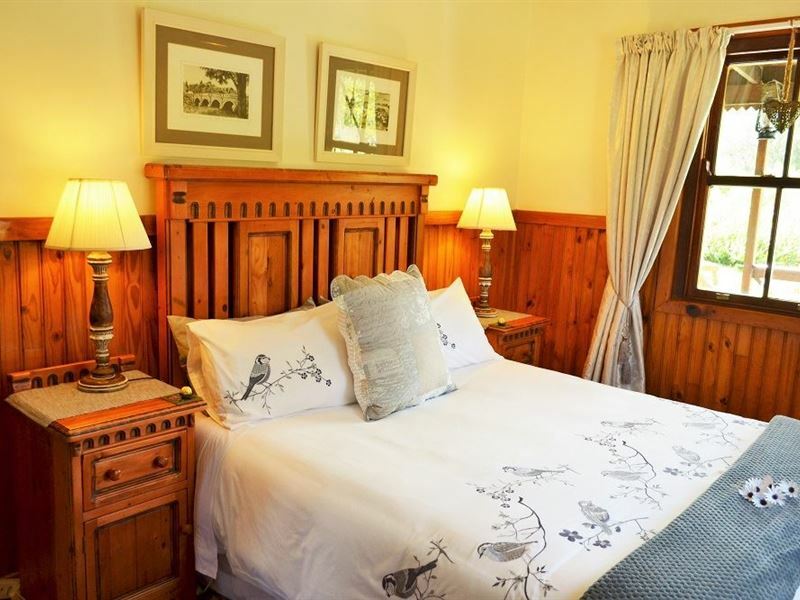 Situated off the beaten track and located on the outskirts of the Indigenous Knysna Forest, Forest Edge offers a tranquil haven for nature lovers seeking privacy and comfort on the Garden Route. 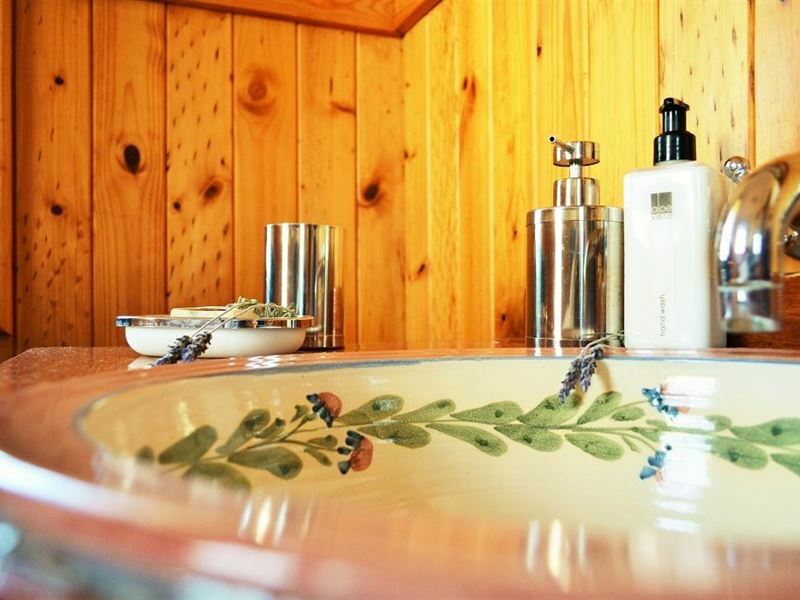 There are five fully furnished cottages accommodating up to five guests each. 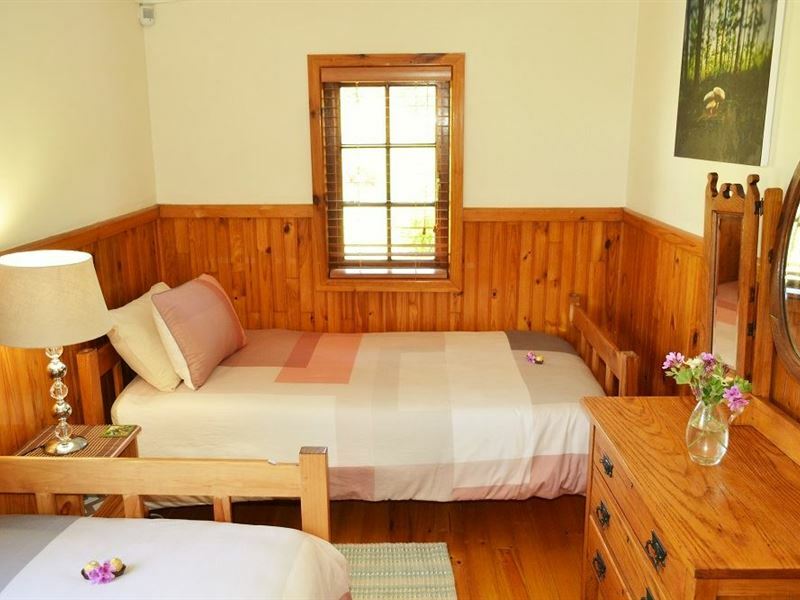 Each cottage has two bedrooms, a private bathroom and an outdoor shower. 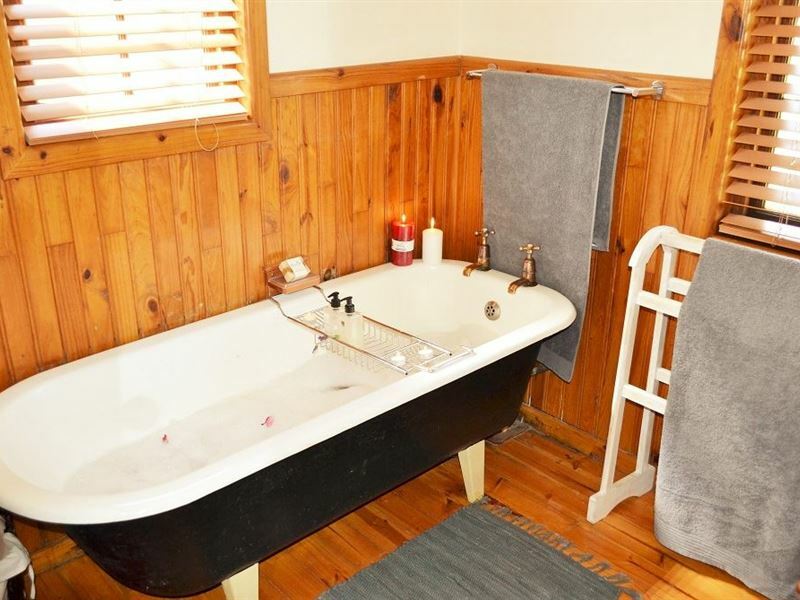 Guests can relax in the Victorian-style bath while enjoying the sound of forest life outside. Each cottage has an open-plan living room which consists of a dining area and a comfortable lounge. 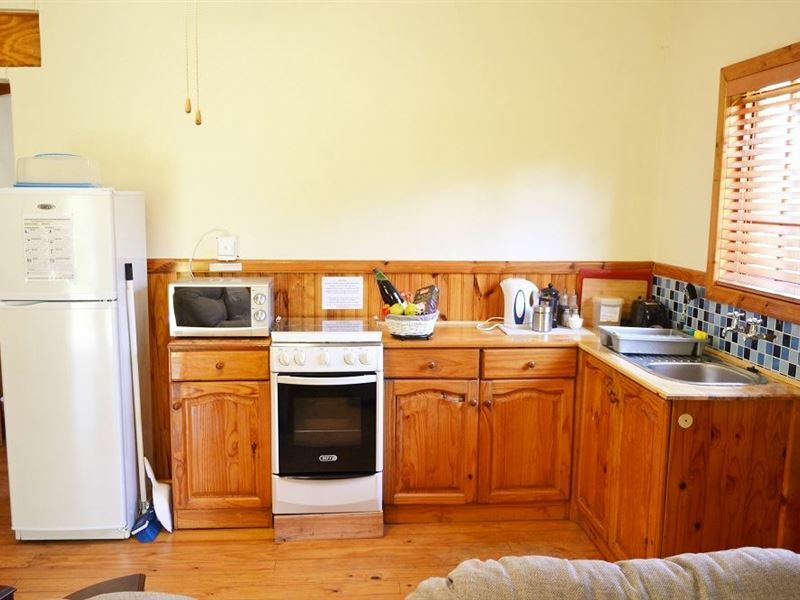 There is also a fully equipped kitchen available for all your self-catering needs. Guests can unwind on the veranda with a sundowner, or enjoy a delicious braai under a clear star-filled sky. Guests can spend their days taking leisurely walks in the forest, or by exploring the many mountain-bike trails. Secluded rock pools and picnic spots are perfect for couples looking for a romantic afternoon pastime. Return to the comfort of the cottage to curl up in front of the fireplace with a book, or to relax on the porch while watching the fireflies. Full English Breakfast Buffet is available at an additional R105.00 pp. We couldn't have asked for a better honeymoon. Thank You to everyone at Forest Edge, we cant wait to return. A highlight of our Garden Route with amazing hospitality by the owner and manger. A must is the quiet swimming hole nearby. The cottages have everything you could possibly want and if its missing theyll provide. Management is amazing and super friendly. The grounds are immaculately kept. The cottages are cozy and has everything you need to get away from the hustle and bustle and just relax. Awesome place for Nature Lovers. Peace and Quietness to die for. Stunning views. Friendly staff and Managers. Definitely a place to put on your bucket list. Loved the natural beauty of Knysna , the peaceful quietness and the close proximity of the forest.Great hospitality and still being able to reach central Knysna in about 16 minutes. Beautiful, scenic, secluded. Hike was a bit scary for me. Too steep and was wet. But we loved the place and would go again. Neat, quiet, well maintained, amazing staff and friendly owners nestled in the edge of the forest. The perfect get away with the option to do absolutely nothing or explore a list of activities near by! Exceptional property at the edge of the Knysna Forest. Ideal for bird- and nature lovers, adventurers, photographers or anyone looking for a break-away and extended stay; close to nature. Great place with nature all around. We really enjoyed our 2 night stay. The surroundings are beautiful and it&apos;s a great place to slow down and relax. Facilities are good also. "No place like home, and Forest Edge"
Thanks to Ronel and team for a great stay. Everything went according to plan and as promised on the website. We got exactly what we set out to get. A word of caution though: Don&apos;t expect everything to go to plan once you&apos;ve arrived. Being surrounded by all the beauty, peace, tranquility and the myriad of things to see and do makes all intentions fly out the window. Before you know you will be relaxed and refreshed, stress just being a six-letter word. Request a quote from Forest Edge at no obligation.